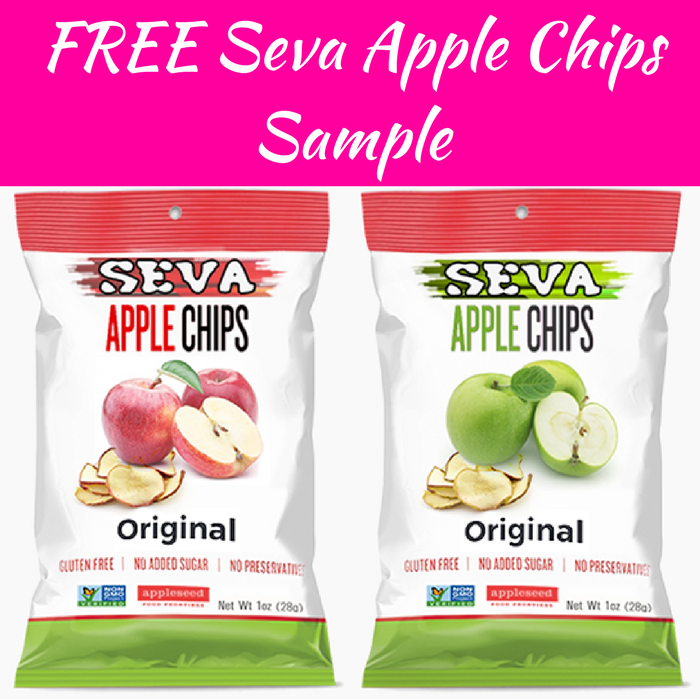 FREE Seva Apple Chips Sample! You are here: Home / Great Deals / FREE Seva Apple Chips Sample! While supplies last! Hurry over here to score FREE Seva Apple Chips Sample! All you need to do is fill out the short form. This is a new product that’s launching in May. There’s only 1 limit per household. Once you sign up and confirm your email, please allow 4-6 weeks for the delivery.